In Japan, a limited partnership formed under the Act concerning Investment Business Limited Partnership Agreements (the AIBLPA) (Act No. 90 of 1998) is the most typical vehicle for private equity funds. A limited partnership does not have a separate legal personality from its partners; therefore, the partners are deemed to hold the assets and liabilities of the partnership directly. Usually, an investor becomes a limited partner, whose liability is limited to the amount of its capital contribution, unless otherwise agreed, and the manager becomes, or has its affiliate become, the general partner of the partnership. To form a limited partnership, a general partner must execute a limited partnership agreement, in writing, with at least one limited partner. In rare instances in Japan, a short-form agreement with a nominee limited partner for formation is used, which is later replaced with an amended and restated agreement upon negotiation and documentation with the initial investors. Therefore, the length of time required for formation depends on the offering activities for fundraising and documentation with the initial investors. Once the general partner executes the limited partnership agreement, it has to register the limited partnership with the relevant local legal affairs bureau within two weeks of the execution. A registration tax of ¥30,000 is imposed for the initial registration. The general partner may file the registration documents themselves, or through an attorney. The registration will be completed within one week or so, upon filing. Under the AIBLPA all the partners are required to make capital contributions to the limited partnership, but there are no minimum capital requirements. Under the AIBLPA, the limited partnership needs to have a registered office in Japan. The general partner must prepare financial statements, request that a certified auditor audit the statements within three months of the end of each business year and maintain a copy of the audited financial statements, together with a copy of the partnership agreement and the auditor’s opinion, at the principal office for a period of five years. Limited partners and creditors to the limited partnership may ask the general partner to allow them to review those documents. The general partner may have to retain a custodian under the Financial Instruments and Exchange Act (FIEA) in order to meet the asset-segregation requirements in connection with its licence or offering activities. There are no requirements for an administrator or a corporate secretary. any additional dissolution events of the limited partnership that are not set forth under the AIBLPA. When any information changes, the general partner must register the changed information within two weeks of the change occurring. If the general partner fails to file within this deadline, it may be subject to a monetary penalty of ¥1 million or less. Anyone may request that the registry issue a certified copy of the registered information, and may also access the information through the website, but information regarding the identities of the investors or the amount of their capital commitment is not publicly available. Generally, the limited liability for third-party investors is respected under the AIBLPA. However, if a limited partner has misled a third party to believe that it has the power or authority to execute the business on behalf of the limited partnership, it shall owe the same responsibilities as the general partner with regard to such third party who entered into a transaction with the limited partnership on the basis of such misunderstanding. Under the AIBLPA, a general partner owes a ‘duty of due care of a prudent manager’ to the limited partners of the partnership. This duty, according to the prevailing interpretation thereof, requires the degree of care that a prudent and competent person engaged in the same line of business or endeavour would exercise under similar circumstances. If the general partner fails to exercise such due care, it may be liable to compensate the limited partners for the damages resulting therefrom. Upon agreement with the limited partners, it may modify the scope or extent of such duty, but may not remove such duty entirely. Note, however, that if the general partner assumes its role as a financial instruments business operator (FIBO) who engages in the discretionary investment management business or if the general partner relies on the qualified institutional investor (QII) business exemption (as referred to below), the FIEA expressly imposes on the general partner the duty of due care of a prudent manager and a duty of loyalty to the limited partner, as well as various other regulatory obligations and restrictions. In such an instance, it may not modify the duties to be inconsistent with such regulations. Japan recognises the gross negligence standard of liability in general, and upon agreement with the limited partners, a general partner may adopt such standard applicable to the management of a private equity fund. The AIBLPA stipulates certain investment restrictions. A general partner may not invest the assets of the partnership into assets other than those listed under the AIBLPA. The AIBLPA covers almost all asset classes that private equity funds typically invest in, but a limited partnership is subject to a certain portfolio test if it wishes to invest in non-Japanese corporations. It may hold equity interests, warrants, and debts issued by non-Japanese corporations only if the total amount of the investments in non-Japanese corporations does not exceed 50 per cent of the total partnership assets. Also, the offering activities of the interests in a limited partnership and the investment management activities are generally subject to the regulations under the FIEA. 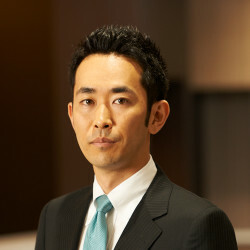 Therefore, unless respectively exempted thereunder, a general partner would have to obtain a business licence to conduct both activities in Japan, file the securities registration statement, prepare and deliver the prospectus to the investors for the public offering of the interests and continue the timely disclosure after the offering thereunder. In the usual cases, however, a general partner will comply with the requirements of the relevant exemptions, to avoid both licence requirements and public disclosure requirements. Neither conversion nor redomiciling to limited partnerships in Japan from those of other jurisdictions is allowed. Unless otherwise specifically provided for in the limited partnership agreement, events affecting the fund sponsor’s status such as bankruptcy, insolvency, change of control or restructuring will not trigger dissolution of the fund or removal of the general partner. Provided that, only if the sponsor is the sole general partner and becomes bankrupt, the limited partnership shall be dissolved, unless the other partners find a new general partner within two weeks, under the AIBLPA. Unless exempted under the FIEA, the general partner is required to register him or herself as a FIBO that engages in offering fund interest (Type II business) or discretionary investment management business. The Financial Services Agency (FSA) or the local financial bureaus (LFBs) are the principal regulatory bodies over a general partner of the fund. If a general partner registers itself as a FIBO, the FSA or the LFBs have broad power and authority to audit and inspect this general partner. It is also required to regularly provide investment management reports to investors and submit annual business reports to the relevant LFB, although they also are required to follow other continuous reporting requirements. As a matter of practice, however, most of the general partners rely on the exemption from the above business licence requirements by satisfying certain conditions under article 63 of the FIEA (the QII business exemption) (see question 24 for the conditions of such exemption). Even in such a case, the FSA or the LFBs maintain the right to monitor and inspect such general partners, but it is not on a regular basis. Such general partners are required to file and update certain matters with the LFBs. Such general partners must comply with certain conduct requirements equivalent to a FIBO, and they may be required to regularly provide investment management reports to investors in connection with the status of investors. Such general partners must prepare and maintain records on their business, and must prepare and submit an annual business report to the LFBs, and must make some parts of their business reports available to the public at their relevant offices or on their website. As opposed to a corporate-type fund or unit trust, partnership-type funds do not need be registered under the mutual fund law of Japan. However, if the interests are publicly offered in Japan, the general partner has to file the securities registration statement, prepare and deliver the prospectus to the investors, and conduct the ongoing disclosure under the FIEA. In connection with the FIEA, the location of significant investment activities does not make any difference in the application thereof. See question 10 regarding the licence requirements for the general partner. See question 10 regarding the licence requirements for general partners. Once a general partner is registered as a FIBO on an entity basis, the officers or directors do not need to obtain a separate licence (their information is included in the FIBO application documents of the general partner). They may conduct their business as personnel of the licensed FIBO. A control person will, as the case may be, be required to file another report of its shareholding of the licensed FIBO under the FIEA. There is no such registration requirement if the general partner relies on the QII business exemption (the information regarding the officers or directors is included in the notification (Form 20) to be filed by the general partner), although the requirement to report a control person is not applicable. 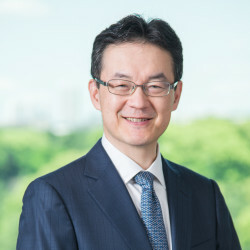 if it is a Japanese corporation, none of its major shareholders fall into any of the excluded categories under the FIEA; if it is a non-Japanese entity, the authorities in its home jurisdiction confirm that the solid and appropriate operation of its financial instrument business will not be prevented by any major shareholders. if it is a non-Japanese person, it must appoint a representative in Japan. In Japan, no one may accept contributions for political activities from a non-Japanese person or a Japanese entity whose equities are mainly held by a non-Japanese person. Other than this restriction, a general partner may make political contributions, which are in principle disclosed to the public. There is no such restriction or requirement under Japanese law. We have not found any such internal rule or policy of public pension plans or governmental entities, based on publicly available information. This is not a recent legal development, but owing to the voting equity holding restriction applicable to banking entities, a Japanese bank would hesitate to hold more than a 5 per cent interest in a partnership-type private equity fund unless specifically exempted thereunder. In the case of a limited partnership under the AIBLPA, a bank may rely on the exemption if certain conditions are met, but usually requests that the general partner make further covenants to ensure its compliance with such regulations. Under Japanese tax law, a limited partnership is itself a non-taxable entity, and income or gain arising from investment through the partnership will be allocated to each partner without imposition of a tax at the limited partnership level. All distributions made by the limited partnership to foreign investors (if they maintain a permanent establishment in Japan) are generally subject to a withholding tax at the rate of 20 per cent. Other than this, neither the limited partnership nor the general partner is required to withhold taxes regarding distributions to partners. it has no permanent establishment in Japan other than by virtue of having invested in the partnership. the non-Japanese resident investor files certain documents with the Japanese tax authorities by 15 March of the following year (for an individual investor) or two months after the fiscal year-end (for a corporate investor). the transfer of more than 2 per cent (in the case of the listed shares, 5 per cent) of the shares in a corporation that derives 50 per cent or more of the value of its gross assets directly or indirectly from real estate (including related rights over real estate) in Japan by the non-Japanese resident investor and other specially related shareholders. There is no special necessity to obtain a ruling from the Japanese tax authorities. To register the formation of a limited partnership, ¥30,000 must be paid as a registration tax. On the assumption that the general partner is a corporate entity (as opposed to an individual), there are no special considerations regarding carried interest and management fees from the viewpoint of Japanese taxation. Japan has entered into a number of tax treaties, and how those treaties apply to a specific fund vehicle or its partners depends on the specific facts, including the structure of that fund vehicle and the residence of the relevant parties. As with many other jurisdictions, the tax rules in Japan are complex and intricate. Nevertheless, tax matters occupy an important position in fund structuring, and we highly recommend that tax advisers are consulted with regarding the specific fund structure and investment. it complies with the transfer restrictions, in which the QII may not transfer its interests to a person other than a QII and an eligible non-QII may not transfer its interests to more than one person who is a QII or an eligible non-QII. A QII is defined in article 2, paragraph 3, item 1 of the FIEA. An eligible non-QII is listed in article 17-12, paragraphs 1 and 2 of the Order for Enforcement of the FIEA, which includes, among others, FIBOs, parent companies, subsidiaries and sister companies of a general partner and officers or employees thereof, listed companies, Japanese juridical persons with ¥50 million or more in stated capital or of net assets, foreign juridical persons, individuals who hold investment-type financial products equivalent to ¥100 million or more and opened securities accounts at least one year previously, and other certain persons. In relying on the exemption, the general partner must file a notification (Form 20) with the relevant office of the LFB prior to any solicitation. As set forth in question 24, if a general partner relies on the QII business exemption, at least one limited partner shall be a QII, it may not accept a Japanese investor other than a QII or eligible non-QII and the number of eligible non-QII limited partners shall be 49 or less. Further, it may not accept a disqualified investor (such as certain special-purpose companies and certain funds of funds in which a non-QII invests). If a general partner relies on the QII business exemption, it must specify each QII’s name, and the name of the fund in the notification (Form 20) to, and be filed with the LFBs; however, QIIs’ names are not publicly available. Also, the general partner is required to update the notification without delay (within one month) if any matter described therein is changed. Also, in connection with the registration with the legal affairs bureau, it must update any registered matter to be changed, within two weeks of the change being effective. Unless otherwise exempted, a general partner or outside placement agents who offer fund interests are required to register themselves as a FIBO that engages in Type II business. However, if a general partner relies on the QII business exemption, such general partner does not have to register as a FIBO for offering their fund interests. See question 24 for the conditions of such exemption. The Act on Prevention of Transfer of Criminal Proceeds (APTCP) requires that a general partner who is registered as an FIBO or relies on the QII business exemption, before accepting a new investor, completes the investor identification process in accordance with the APTCP. At a minimum, the general partner must verify the identity of its investor prior to the execution of the subscription agreement with that investor and maintain records of the information used to verify the investor’s identity. The general partner must promptly report to the regulatory authority if the general partner suspects that property received from an investor relating to its investment management business may be from criminal proceedings, or that an investor may have engaged in criminal conduct in connection with any transaction relating to its investment management business. The administrative guideline requires that the general partner avoid contact with ‘antisocial forces’. An organised crime group, a member of an organised crime group, a quasi-member of an organised crime group, a related company or association of an organised crime group, a corporate racketeer and other equivalent groups are included in antisocial forces. The general partner shall not enter into any agreement with antisocial forces or entities controlled by antisocial forces. Under the FIEA it is technically possible to list on a securities exchange, but no securities exchanges in Japan have rules that assume partnership interests are to be listed on the exchanges. Therefore, based on the current situation, private equity funds formed as partnerships are unable to be listed on securities exchanges in Japan. This is not applicable under the current exchange rules. Other than those described herein, there are no explicit legal or regulatory restrictions that a general partner should be concerned with when it establishes a limited partnership as an investment vehicle for private equity investments. If the general partner retains a placement agent in Japan who is a FIBO engaging in Type II business or the general partner relies on the QII business exemption, it must make sure to segregate partnership assets from its own assets, in accordance with the FIEA. Also, in connection with the foreign exchange regulations of Japan, the general partner should ask its non-Japanese limited partners to file prior notification or a report of the acquisition of an equity share when the limited partnership acquires an equity share in a certain category of Japanese corporation, since such acquisition would be deemed to be direct investment by such non-Japanese limited partners of a part of the equity share, owing to the legal transparency of the limited partnership. There are no specific issues regarding this topic. Since 1 March 2016, the amended FIEA has greatly increased the regulatory burden of a general partner who relies on the QII business exemption. Some of the regulatory burdens are on a similar level to a licensed FIBO engaging in Type II business and investment management business. See question 24 for the conditions of this exemption.